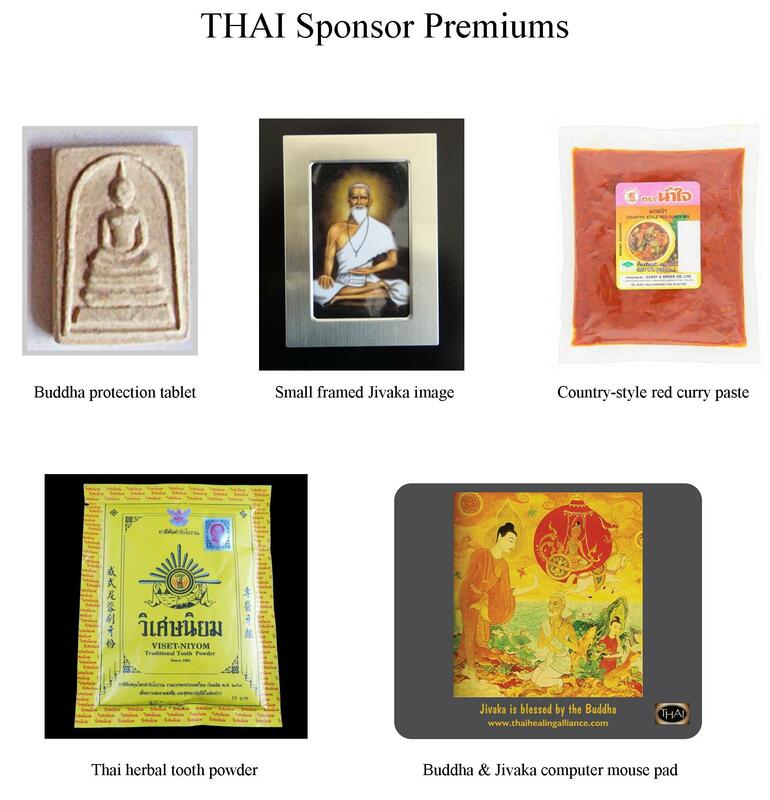 As a sponsor of THAI, you support the only organization of its kind. You help to dignify and elevate traditional Thai massage throughout the world, and project a unified voice for safe and effective practice of Thai healing arts. Thai Healing Alliance is a non-profit organization, and your contribution may be tax-deductible. Any donation you make is acknowledged upon receipt, and a receipt for tax purposes is sent to you immediately. All THAI workers are volunteers, and no one receives a salary of any kind. Nevertheless, money is needed to support educational programs in Thai healing arts, to expand the THAI online archives, and pay for website and office expenses. To thank you for your tax-deductible donation, you may choose from a number of special gifts and premiums, and your personal name or business is listed on the THAI web site. Also, think of all the good karma you will be generating for yourself and others! Lotus Level – $100 USD Your name is listed in a special section of the THAI web site. You may choose one gift from the list below. Emerald Level – $250 USD Your name is listed on the THAI website in all media; and you may choose two gifts from the list below. After you make a donation, you will be contacted to choose your gifts so they can be shipped to you. If you have questions about becoming a sponsor please contact THAI. To see a list of THAI Sponsors, Thailand Partners, and Associate Organizations, click here.